Social media has given power and control to consumers, which took the advantage from well- known brands and large corporations. Now, everyone has an equal chance to reach out to a specific audience. Business owners, top-notch executives, and marketers have realized that social media can make or break their business. After analyzing their data to understand their target audience, they’re creating strategies to market their products and services to audiences on social media. When it comes to business brand promotion, social media brings several significant benefits to the table. Building a brand and brand awareness. By sharing your company page on their wall, your social media followers and fans can keep the memory of your brand alive among their peers. It extends your reach and creates and build awareness about your brand and offering, which eventually lead to higher conversions. Boosting SEO by social signals. The more people talk about your company on social media, as well as recommend, follow, and like, your search ranking will be better. Word of mouth is still relevant. Who do people believe more – the reviews of your products on your webpage or other familiar people? It’s the latter, so you shouldn’t underestimate the power of word of mouth. Keep your customers happy and satisfied, and they will turn into your brand advocates by telling their friends, family, and acquaintances. Social media has become squarely a requirement for any digital marketing campaign. 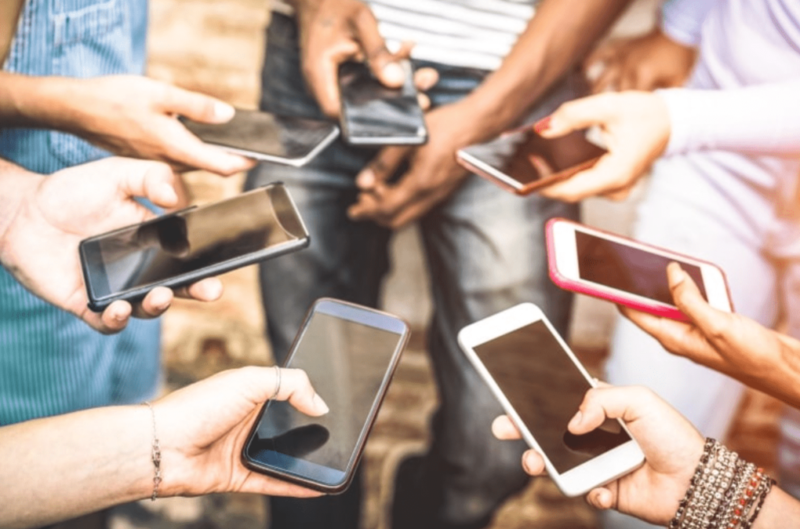 The latest research shows that there are more than 3 billion people active on social media while 11 new people open their first social media account every second. These stats can be of great value to anyone looking to create a niche in the market, especially SMBs. Getting to know their audience. Social platforms come with insight features that can help you understand your audience and learn how to speak their language. You can use it to tailor your product messaging, so it provides you a healthy ROI. Reaching a specific audience based on location (geo-targeting). If you’d like to market to people speaking Italian in Switzerland or those speaking French in Canada, geo-targeting is the most effective tool for doing this. Sharing content. On social media, you can share your content much faster. All it takes are a few clicks for your brand to reach out to thousands or even millions of people around the globe. Of course, you need to make sure that the material is excellent and relevant for people will share it. Get insight into your competitors. With the right social media marketing tools, you can create search streams and gather insight into your market competitors. That can help you analyze their strategies, improve and optimize yours, and get an edge over them. Building brand awareness. Traditional marketing tactics can be expensive. On the other hand, everyone’s on social media – from industry experts to stay-at-home moms. So, social media allows us to reach a wider audience and create brand awareness without a hefty upfront cash invesment. You can use the analytics to understand everything about your audience and optimize your strategies accordingly. Also, you receive instant feedback and have instant communication with your customers. CRM platforms have started to support social media (besides traditional channels) so businesses can interact with customers through their favorite or preferred channels. It means greater marketing insights and better customer service thanks to the data pulled from social media. A CRM tool is a system for managing your customer relationships. As a business grows, having a centralized system for maintaining all that information becomes crucial. Brands are always looking for ways to improve their social media game. Today, they’re using social networks to get closer to their ideal customers. That is why this trend will keep moving forward in 2019. CRM experts are developing bots that will interact with customers as well as get data about their customers’ behavioral patterns and opinions. It will allow brands to predict their customers’ behavior and anticipate their needs. If you want to make more sales, then you’ll need more than just a couple of touch points. Brands will have to leverage many different channels, such as social media, automated marketing campaigns, landing pages, dark social, and so on. On top of that, marketers should provide their audiences with consistent customer experience. That means that CRM systems need to function as the center of the omnichannel approach, which will ultimately lead to a CRM streamlined process that includes customer support, sales calls, mobile marketing, social media marketing, etc. It’s one of the essential trends for 2019 that interconnects with social media. Everyone’s focus is on personalization, and it’s entering the CRM world. It will allow CRMs to reach customers using strategically compelling messages created with the help of Big Data and Data Science. For those who don’t know, dark social is called “dark” because it cannot be traced. It’s the activity that happens via private messaging, email and even word of mouth, but outside social media networks. Dark social is on the rise as more conversations, and online sharing is happening in private. Social media is undoubtedly influencing marketing and CRM because it directly impacts their audiences. Our lives and the ways we perceive reality have been changed by social media. 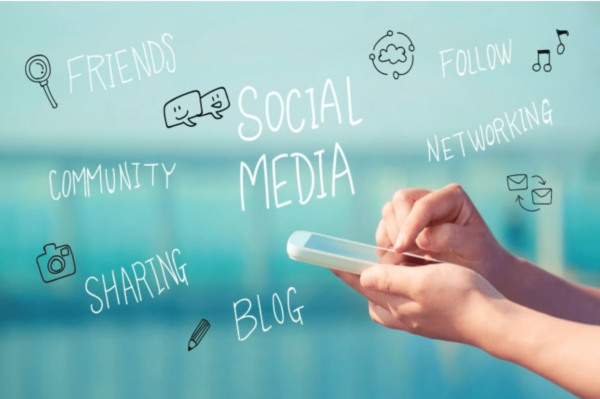 So, before you start planning out your SMM strategy and invest in Social CRM, you should take advantage of digital platforms that streamlines all of this for you. That’s where eClincher can come of help as a focal point for scheduling posts across all your social media accounts. You can use it to monitor what people are talking about your brand as well as for all your social interactions. Also, eClincher comes with an analytics dashboard, and analytics are your friend. For example, find a customer that talked about your product. Then, send his or her social profile through your CRM pipeline to a sales or marketing representative. These analytics can be crucial to customer conversion. Social media allows brands to gather and distribute information. And information is power in the 21st century. Social networks like LinkedIn, Twitter, and Facebook have made it possible to access necessary information with just a few clicks. The impact of social media is massive, and it’s worthwhile for any brand using social media to keep posting material that is valuable.